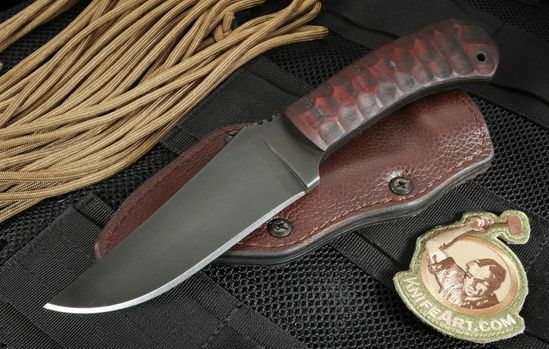 The Winkler Belt Knife is one of Winkler's most popular models. This configuration comes with sculpted maple handle and a caswell blade finish. Daniel Winkler has taken is bladesmithing knowledge, recognizable design and input from the military community when he developed the Belt Knife. 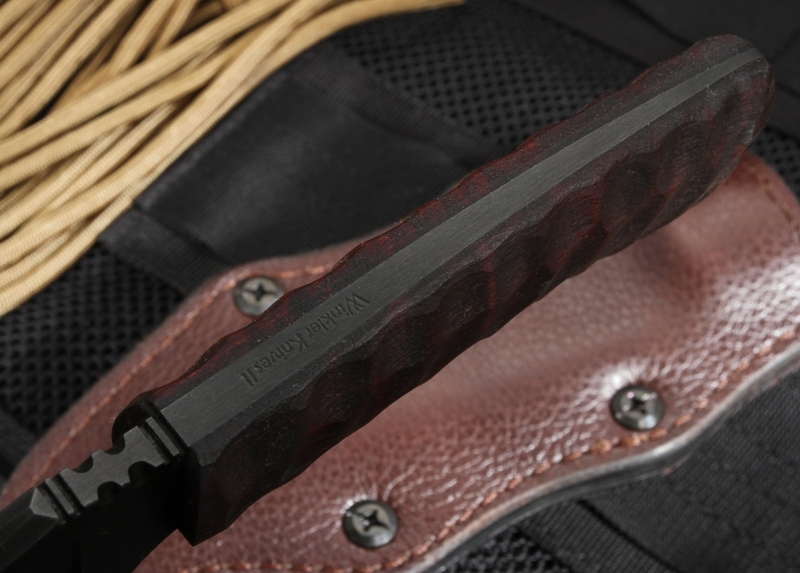 The blade on the Winkler fixed blade is black caswell coated 80CRV2 carbon steel. The drop point blade shape and the flat grinds provide excellent cutting ability in the form of edge retention and toughness. The handle on this Winkler Belt knife is sculpted maple, a natural wood that Winkler has used on many of his knives for a long time. The tapered full tang construction provides the user strength with reduced weight and increased balance. The belt knife if finished off with a thumb ramp on the blade and a lanyard hole in the handle. 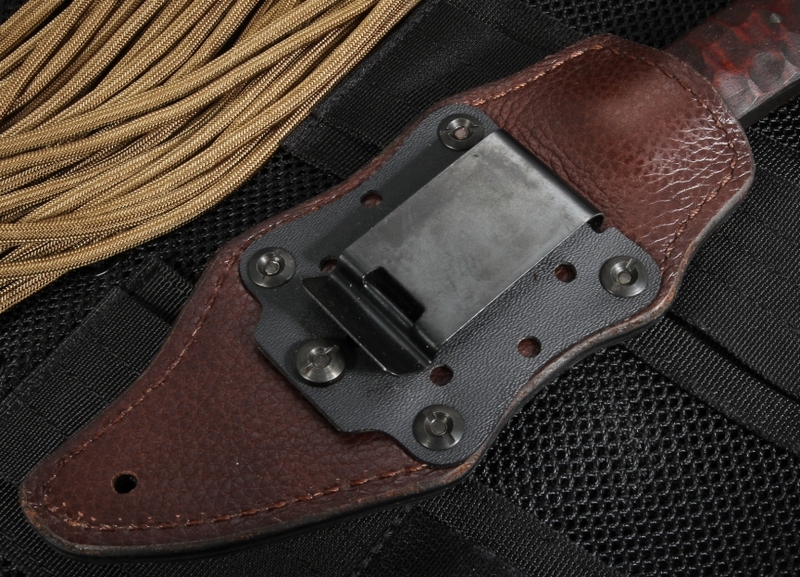 When you are ready to carry this knife into the field, the knife comes with a kydex and leather sheath that allows both horizontal or vertical carry. As and Authorized Dealer, we will provide you with a satisfaction guarantee and fast same business day shipping. We only select the best knives from the elite knifemakers in the world.